THE PERFECT GIFT for people who ride their Harleys to work while wearing guyliner and winklepickers, even in freezing temperatures.__________________________________Jason's mid-life crisis started one Sunday morning in B&Q when he spotted a tub of boat varnish. 'I will never own a boat,' he thought to himself.Jason has never wanted to own a boat. But now, not owning one is all he can think about. '__________________________________'Sally has tried lots of things to make herself feel younger: running, glamping, Pilates, adult colouring books, a 'mummy make-over,' Bikram planking, Platonic irrigation and having an inappropriate relationship with a rangy twenty-something intern called Zeb, who has three beards and a Lego earring.Sally has given up and is now thinking of joining the National Trust. '__________________________________This delightful book is the latest in the series of Ladybird books which have been specially planned to help grown-ups with the world about them. The large clear script, the careful choice of words, the frequent repetition and the thoughtful matching of text with pictures all enable grown-ups to think they have taught themselves to cope. 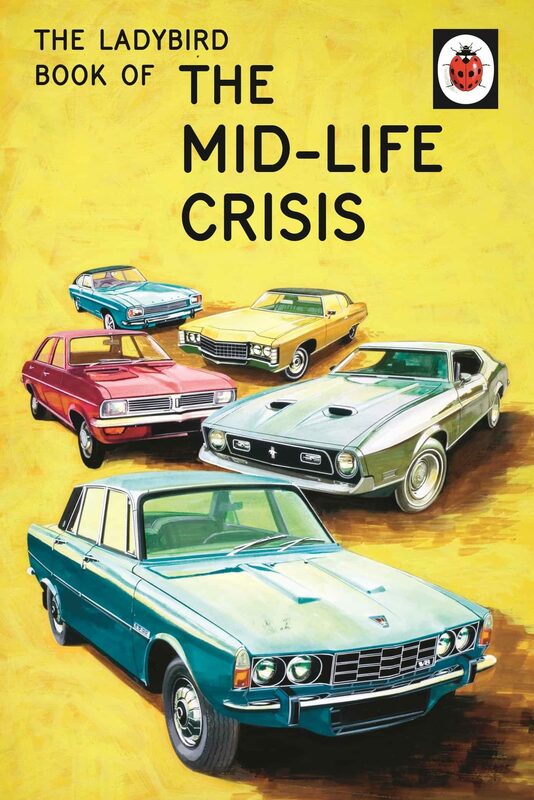 Featuring original Ladybird artwork alongside brilliantly funny, brand new text. 'Hilarious' Stylist Other new titles for Autumn 2017:How it Works: The BrotherHow it Works: The SisterThe Ladybird Book of the ExThe Ladybird Book of the NerdThe Ladybird Book of the New YouThe Ladybird Book of BallsThe Ladybird Book of the Big Night OutThe Ladybird Book of the Quiet Night InPeople at Work: The Rock Star Previous titles in the Ladybirds for Grown Ups series: How it Works: The HusbandHow it Works: The WifeHow it Works: The MumHow it Works: The DadThe Ladybird Book of the Mid-Life CrisisThe Ladybird Book of the HangoverThe Ladybird Book of MindfulnessThe Ladybird Book of the ShedThe Ladybird Book of DatingThe Ladybird Book of the HipsterHow it Works: The StudentHow it Works: The CatHow it Works: The DogHow it Works: The Grandparent The Ladybird Book of Red TapeThe Ladybird Book of the People Next DoorThe Ladybird Book of the SickieThe Ladybird Book of the Zombie ApocalypseThe Ladybird Book of the Do-Gooder.